More than twenty students gathered around the campus seal in Stamps Courtyard at California Baptist University Oct. 9 to highlight the actions of two CBU students who were shown in a video pouring a drink on two men who chose not to stand during the national anthem, as well as pray for the individuals involved and the university. One woman could not be reached for comment the other declined to comment for publication. Dr. Ronald L. Ellis, president of CBU, sent an email Oct. 9 to faculty, staff and the student body stating, “The despicable behavior displayed in the recording of the incident is an extreme departure from the positive Christian values that are central to the culture of California Baptist University and does not represent the vast majority of CBU students, employees and alumni. 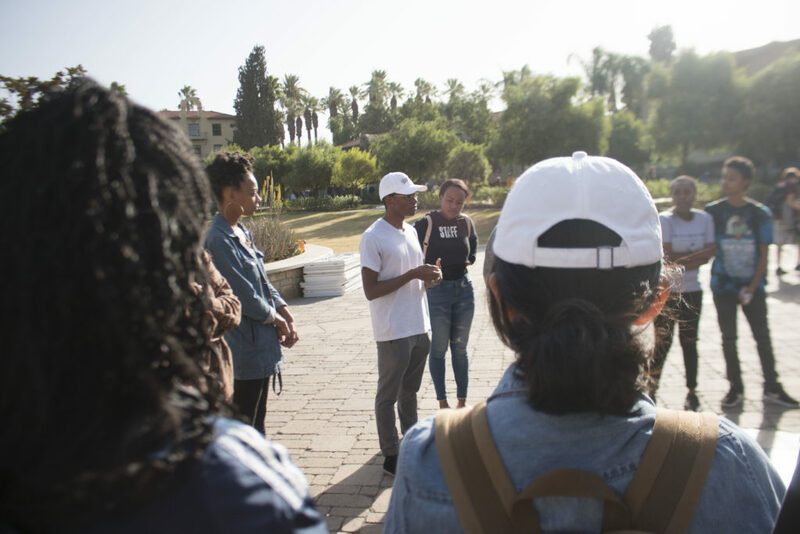 Students involved in the campus gathering said they believed action needed to be taken to highlight the national misrepresentation of CBU through this incident. 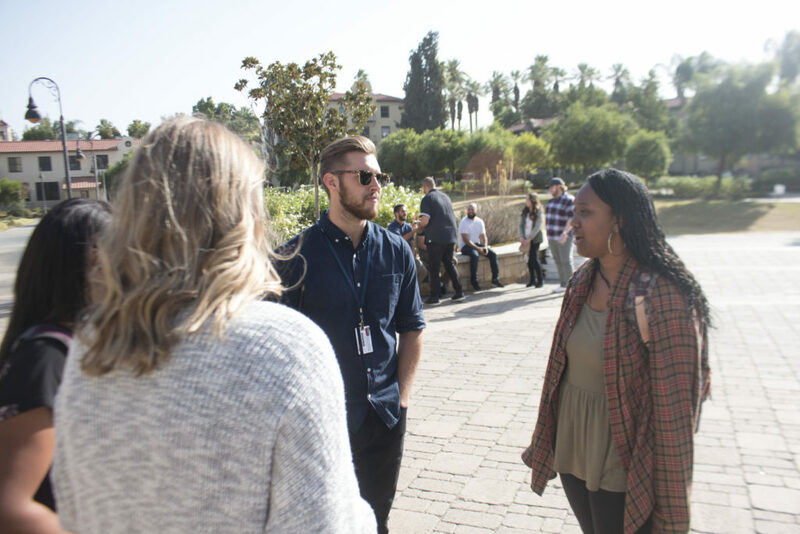 Leti Bernard, senior journalism and new media major, organized the gathering on Twitter. 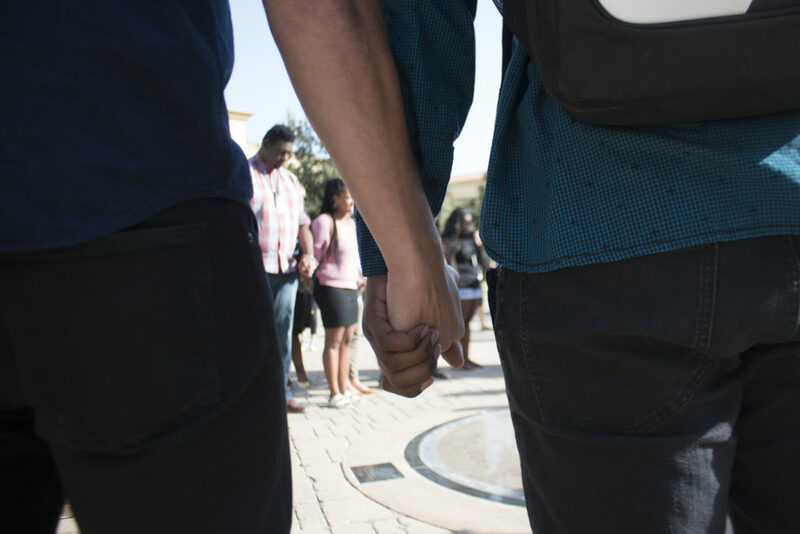 Other students who participated in the gathering also said they believed the actions of the two women did not represent the university or their own faith. 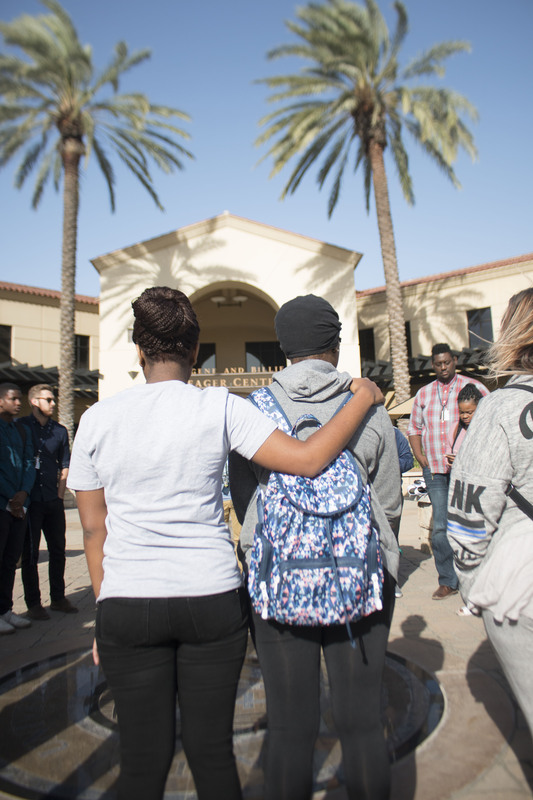 Staff members who did not actively plan or participate in the gathering at CBU said they stood by the students to show their support. 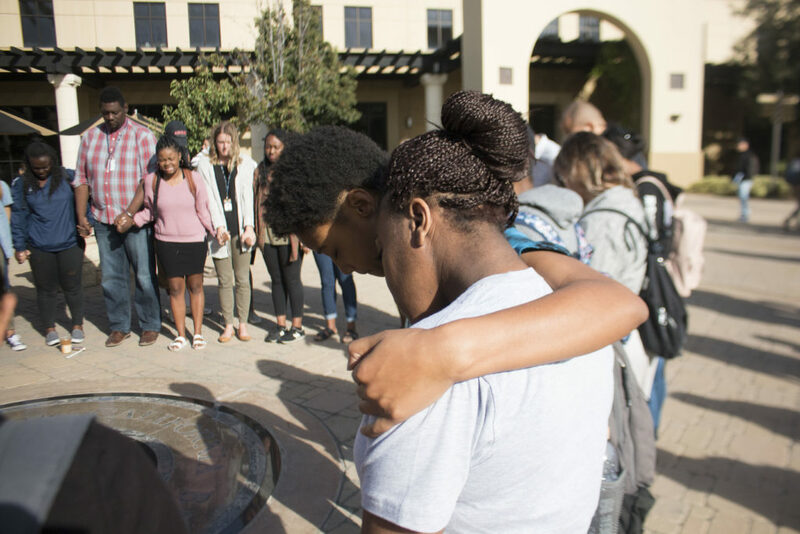 During the peaceful 30-minute gathering, other staff members said they believed prayer was the best way to represent the university.